The count down to Puff of Colour 2019 is on! You will receive your e-ticket at the email address provided. To ensure you can access your ticket please provide us with an active email address. To gain access to the event you will be required to present your online ticket. You may download and print a copy of your ticket or present it on your handset. You do not need to attend any of the Puff Of Colour ticket collection popups to collect a ticket. The email you receive from us, with the ticket for download, is the only ticket you need. If you are presenting the ticket on your handset, please ensure you download the e-ticket to your handset BEFORE coming to the event. You may be requested to present your ID to confirm the validity of your ticket. Each ticket will have a unique bar code which will admit only one person. This ticket will be scanned at the door by the Ticket Nation Team. Keep your ticket in a safe, dry place. You are allowed to purchase a maximum of 2 e-tickets. When you receive the e-ticket you will notice an "Actions" tab, there you will find the option to transfer the second ticket to a friend. Do not purchase e-tickets from a third party. 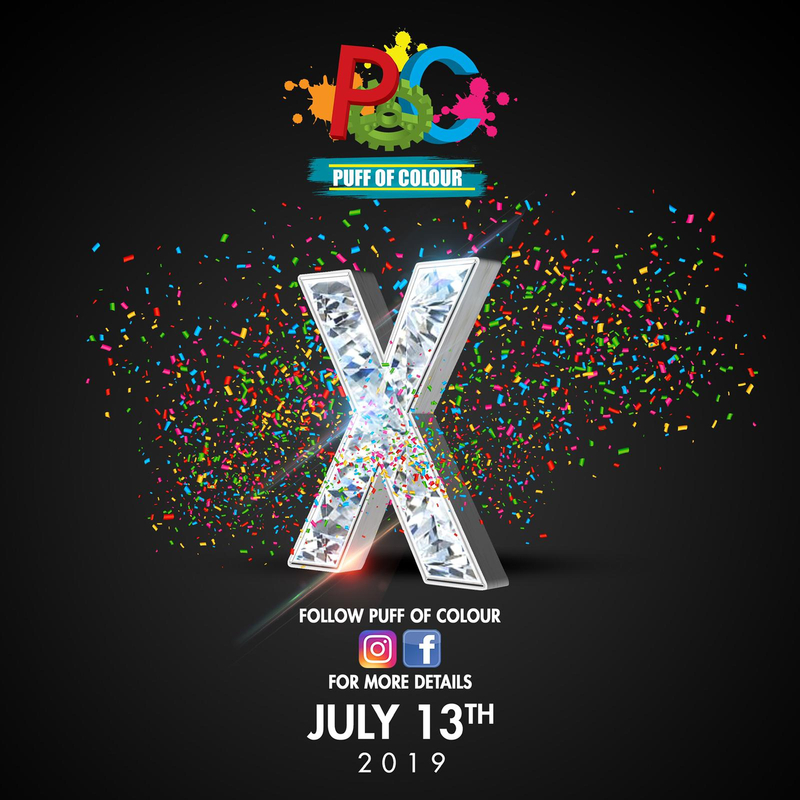 We look forward to welcoming you to Puff of Colour.